Wine of Spain. Oak matured. 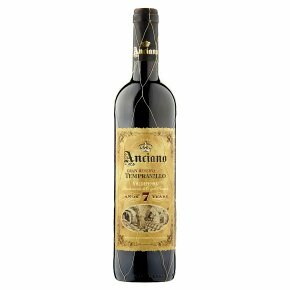 In the timeless Spanish winemaking tradition, Anciano Gran Reserva is matured in oak barrels for at least 18 months, and in our cellars, to achieve its fine complexity and mellow oak character. It has smooth vanilla notes, rich black cherry fruit and subtle hints of leather, balsamic and spice. Drinking well now. Enjoy with roast lamb, game and other grilled meats, a hearty casserole or mature cheeses.